Windows Phone limits the deployment/installation of non-store apps to only Developer Unlocked phones and still carries a limit of max 3 apps for users without a Microsoft Developer Account. If you are looking to Developer Unlock your Windows Phone (regardless of the manufacturer), follow the tutorial below. There is also a scheduled post upcoming which discusses about installing/deploying local/cracked apps to developer unlocked phones. If you are just an end user who wants to unlock the phone to deploy some apps, download the Windows Phone Mini SDK (64MB) from here. On the other hand, if you are a developer and plan to build apps, you should download the Full WP8 SDK from here. Install the Mini SDK or the Full SDK on your Windows PC. Connect your Windows Phone device to the PC using a USB Cable and wait for the drivers to be installed (if they are not already installed). Click Start and type Developer Registration. Now open Windows Phone Developer Registration app. Make sure that the screen of your Windows Phone is unlocked and click on Register in the bottom-right of Developer Registration App. Click retry if it says that the phone is not detected. Login by entering your Microsoft Account credentials. You do not need to be registered as a developer to do the unlocking, hence any Microsoft Account will work. Let the Developer Registration app register your phone for development and you can deploy local/cracked apps thereafter. If you no longer need the capabilities offered by the Developer Unlock, you can lock it back again by following the above steps and choosing Unregister in Step 5. Contains only the Developer Registration and App Deployment tools. Quick Install of 5 minutes. Full set of tools used for development purpose. Works only on 64-bit version of Windows 8. Takes more than 30 minutes to install on an average PC. To what I know, you can use a new Microsoft account after you reset. So, you can create a new Microsoft account and enter the credentials there. “this package could not be opened. verify that the package exists and you can access it.” error installing the sdk mini .can u help me with this? will it work on lumia 532 Dual sim? No buddy, this will not affect the carrier lock. You need the respective unlock code from your carrier to get rid of the lock. Installation of the application failed. Run time error has occurred. Fix the Capabilities in WMAppManifest.xml file. About to test this out on my device. So, when I developer unlocked my phone, can I install as many non-store apps as I want? No. You do not need a developer account to unlock the devices. But since Microsoft is going more towards Windows 10, it can be possible that they’ve disabled the unlocking. Im not understanding everything is set to how it should be. Can anyone help? Never mind. I figured it out. Anyone that has a error like this needs to go to the Windows Phone Dev Center and just long in with your account. Then retry registering should work then. hi, i didnt understand this. Where is dev center? Sir , please solved my problem . Sir I am download windows 8 sdk full and I try your good trick but I am not successful Nokia Lumia 630 please help ! Thanks . The app needs to connect to your Microsoft account so it needs an internet connection. Same……. ain’t working with My 540……. When deploying the xap app it shows invalid xap file what to do then??? Go to the device manager and check if your phone drivers are installed. In my case they weren’t. As soon as I updated them it worked for me. I can’t register my phone lumia 540 .. its show me my ph date is incorrect or net connection bt i try for many times & chacke my ph for up to date what should i do? CAN I UNLOCK MY WINDOWS PHONE 7 WITH THIS …..?????????? 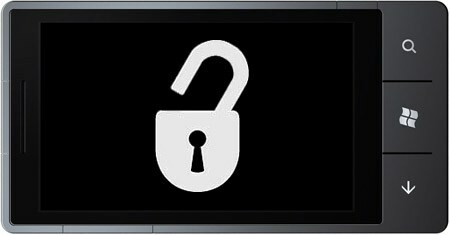 Besides that, last year around December was the latest that Microsoft allowed developer unlock for WP7. And that unlock was only valid for 1 year…. Basically Microsoft is actively killing WP7 and trying to make the device useless, there are only 5 months left in which new software for windows phone 7 can be created, after that all new software will be for windows phone 8 and higher only. Unfortunately, there isn’t. WP8 blocks Mic access to all apps during an ongoing call. Buddy, I understand your frustration, but I do receive a lot of comments over here and more than half of them are repetitive questions already answered in a previous comment. I do strive to reply to comments, but sometimes I can’t, because I’m busy (studies, friends, functions, I have a life too) or else I do not know of a solution that will work for a particular person. There can be many reasons of an issue from drivers to hardware to software services to operating systems. I really can’t judge and provide a helpful reply on the basis of a line of comment. I’m still sorry for this. I’ll try doing better. Is it compatible with Windows Phone 8.1? By the way I clicked on the register button and the sign in window pops up and exits very quick.. Whats the problem with this? Oh! I know what the problem is! You must be connected on the internet. yes yes yes what to do next??? Yeah . it was installed successfully but not appearing in START menu as i already mentioned. I’ve downloaded it “WP8 SDK Tools Lite Setup Av1.0″ from your provided link & installed it . and when i followed this step ” Click Start and type Developer Registration. Now open Windows Phone Developer Registration app.”” i click start and typed Developer Registration but no result found .?? i opened my Programs Files and open the folder of installed WP8 SDK and search it thoroughly but nothing was there to execute or open etc only ” .dll ” files were found . So what to do now ??? Was it successfully installed? Can you confirm that? sir,will this affect warranty of the phone? hi lildanda !! i’ve also MS lumia535 DUal Sim but ‘m unable to unlock it can u guide me plz??? Developer Unlock will let you sideload XAPs via PC. You cannot install them using the Store option. Were you able to get past this error. I have the same issue? I m not able to install mini sdk on my windows 7 32-bit computer . Please help me !!! The signature or catalog could not be verified or is not valid. Sign in not working. what to do ?? when i click on register the sign in window disappears withing 1 millisecond.. i’v tried it 100 times but same issue is there !! Firstly note bro that if it vanished within 1 millisecond, then you would not have been able to see it! Search within Start. You’ll be able to find it. Microsoft set a deadline to register WP7 devices for development to December 31, 2014 Why are you guys trying to register devices now? Good im also indian. Tomorrow I am going to unlock my phone.if u can give me ur watsapp number I can contact u if I get any problems. Plz give me ur warsapp no. Ok .will try tomorrow. Thanku very much. And r u indian. If yes , where do u live? Yep. I live in Panchkula (Haryana). hi sorry to bother but i keep having the same error message.unable to connect to a phone.make sure that the windows phone ip over usb transport service is running,what should i do? i can’t run the appx file but i’m download and install the tool and it’s work… how do i’m run the appx file? m using 1520 . Device is still under warranty .if I unlock my phone will it affect my warranty ? because I have hear that service centre’s do not accept unlock phones. Developer Unlock does not void the warranty. Seems like a corrupted download then. Can you retry downloading? Can you confirm if the service is running? If it is, restart the service and try again. Is your PC connected to the internet? The Installation was successful, I restarted the PC (Running Win 7 SP 1). I cant Find ‘Developer Registration’…..?!?!?!?!?!?! You tried searching using the search box in the start menu? Yes Narender, I searched all the drives, cant find it….. something going wrong somewhere….. Strange. How about giving it a re-install? ok so what i did was just searched file and I found a folder named PHONE REGISTRATION and PhoneReg.exe in that. THATS WHAT opened the Windows Phone Developer Registration window. However it kept hanging so I ran it in Windows 7 compatibility. Worked fine, but got the ip usb issue. Now that service has already been started on my PC, so Im stuck again. Also, can you help me out with the Lumia 720 driver. Alright I managed to find the drivers. Repeated the above and it worked. Thanks for all the helped. Now I just hope I can manage to install apps and games. Can I install WP SDK lite in XP SP3 ?? I go up to the fifth pointvand when i click register, the page when i should put my email adress shows for a second and then vanishes… Can someone please tell me what to do? My phone lumia 510 is not detected by developer registration app. I am trying to install this on Windows Phone 32 bit. But I always get the error : “The installation package could not be opened. Verify that the package exists and that you can access it, or contact the application vendor to verify that this is a valid Windows installer package.”. I have installed .NET framework. 4.5.1.. But to no avail. How to get it to work!!?? Please HELP!!! Can you try re-downloading the installer? And what version of Windows are you installing it on? Windows 8? After unlocking my phone(Lumia 520) I wanted to deploy but the status is still “Deploying xap file” after 20 minutes. Is it supposed to be that long? The application is pes2012. Or is internet connection needed for deploying too? After unlocking my phone(Lumia 520) I wanted to deploy but the status is still “Deploying xap file” after 20 minutes. Is it supposed to be that long? The application is pes2012. Is Internet connection needed on tjr compter? Yes it is, because the Software needs to communicate to the server where the unlock is registered. Will i still get updates for my windows phone? Will i be able to use store after doing it? Does it do any harm to phone? If something happens to my phone, will nokia care accept it? 1. Yes, there is. 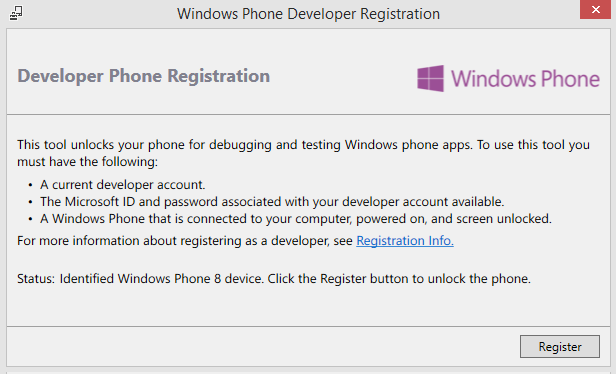 You can know more in the Unregister a Windows Phone for Development (Lock Development) section in the post. 2. Yes. You will still get updates as you normally did. 3. Yes. Store works like before. Completely no change. 4. No harm to the phone actually. You are just unlocking it so that being a developer you could test a few of your apps before uploading to the store (logically). 5. Yes. This does not affect Warranty. This does not affect your warranty. No offense, but these apps are not charged by Nokia or Microsoft. 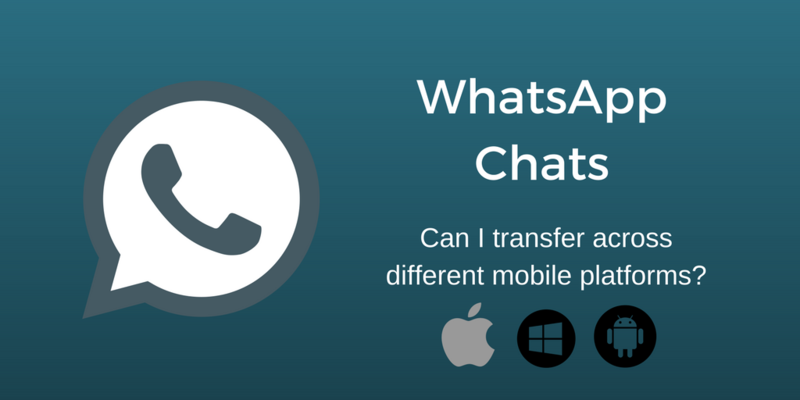 It is the decision of the developer to whether keep is app free or charge for the same. I’ve paid for MoliPlayer and I feel it is worth it. You can install the cracked apps by deploying them, but you need to find those cracked apps yourself. If the source is authentic, you shouldn’t worry about anything happening to your Windows Phone, except that you cannot update these cracked apps by using Store. Hey man the trick is not working in my lumia520 it i have tried all these steps still not able to detect my device showing windows phone IP over usb transport.. Help…..!!! I’m having a windows phone 8.1 and I can’t unlock it. The app won’t recognise my phone. Plz Help! will anyone help me ? Please, try for me. Myanmar fonts is very important. So I must use, thanks. hmm? You need to do that yourself. Use Nokia Care Suite to change your firmware. How to install Myanmar fonts & keyboard on Nokia alumia 920 windows phone. Flash it with the firmware variant for Myanmar. Will this unlock a Lumia mobile to work on any network? I tried and it gave a message that “The device has been successfully unlocked”. But I still can’t use it on a network different than what it is unlocked to. Any response is highly appreciated. It is not the carrier unlock. To use it on other networks, you need to get the unlock code from the cattier to which it is locked. will this Windows phone mini sdk work in a PC running windows Xp sp3……??? No, I guess. But you may try. will this Windows phone mini sdk work in a PC running win7??? Any change to lose the warranty? This does not affect the warranty. Hey I can’t sign in the developer registration. The sign in page always blank. This steps you given will it unlock my windows phone ( Lumia 630)???? the first two times i tried registering i got the ipoverusb…error i restarted the service and then i got loging in error.but now whenever i try my phone isnt recognized at all.and i am sure there is no problem with the phone.if you suggest i should still keep trying then i’ll be glad keep on trying but can u suggest a way that i get the phone recognized?it is available in “my computer” but the software just got blind.thanxxx anyway for your kind suggestion earlier. i have lumia 630 and i cant dev unlock my phone.it isnt getting identified.i restarted the ipoverusb form services and after that they showed an error about logging into dev center.any clues? Probably try another time. MS is really having login issues with the dev center. could you say approximately how long. i am anxious to play some cracked xaps ive downloaded. is unlocking the phone through this method legal?Will it voids my warranty? Feels great to know that you liked the context 🙂 As about your doubts, its a Yes for both of your questions. 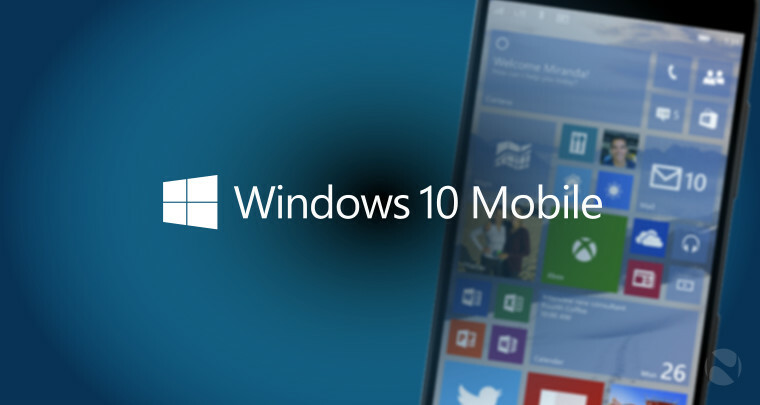 It is standard for all the Windows Phone devices. However, it may require the drivers which will be provided by XOLO itself. Android is better in this regard though. Android users who do not want to buy apps can easily find cracked or patched apps. Whereas it is hard to find a cracked Windows Phone apps. Tanx.. And will this Windows phone mini sdk work in a PC running win7??? Ok… So, can i get cracked xap of order and chaos?? After the unlock can we play the paid games for free.. Using xap for eg: order and chaos cost 360₹ in store..
Only if you manage to find a cracked XAP of that game. XAP/APPX from Store won’t install. i tried following these steps,but the app shows that it cant find my phone and keeps asking me to make sure the ip over usb or something like that is working or not.do i have to have a windows developer account? please help me. Open Services (Start> Type services.msc and hit enter) and manually start the Windows Phone IP over USB Transport service. And thereafter try again. In case it is already running, restart it. ok I tried that and I have a very legal Microsoft account with a password.and still the freak says error logging into the windows phone dev center.today is not my day.any help please? So the phone is detected, right? I earlier faced that error too and it automatically worked later. Probably something wrong with their service. It should work later on. Try later. ok i’ll try after a week.great blog thnx for encouraging me. How many apps can i install using this method Limited or Unlimited Apps? 2 for standard accounts, but do check this.